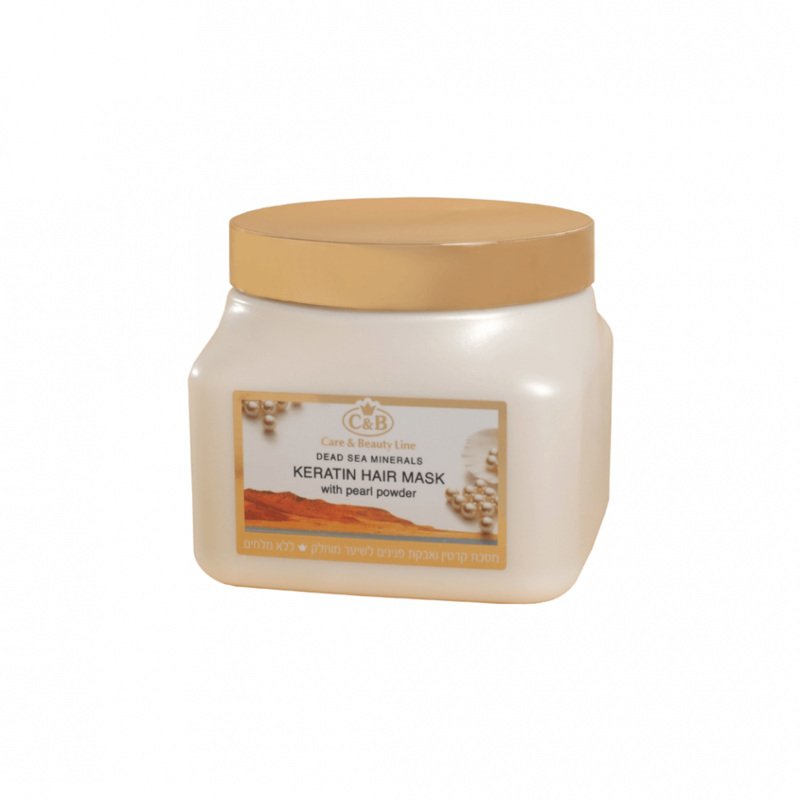 Care and Beauty Dead Sea Keratin Hair Mask molecularly adjusted for hair that has been chemically treated and especially hair that has undergone any of the different straightening methods. This unique formula nurtures the hair fiber with essential components that have been lost in the straightening process, and assists in maintaining straightening results over time. The mask does not contain salts or counteract with the hair's chemical treatment. Continuous use of the Keratin mask assists in achieving a balanced PH level in the hair fiber, while giving it shine, moisture, vitality and an amazing flexibility. The special compounds are enriched with pure keratin and pearl dust containing amino acids, calcium and magnesium which strengthen the hair fiber and assist in its recuperation process.